The sports industry is doing an incredible job leveraging technology’s ongoing developments to raise the bar for athletes and the specialists that contribute to their achievements. The biggest investments are in enhancements to training and performance, and, consequently, what it means to remain competitive is constantly evolving. This is clear when you take a closer look at Formula One racing. At the Canadian Grand Prix in Montreal this summer, Williams Martini Racing had an abundance of vital racing data at its fingertips, and Avanade helped the team maximize it by making actionable information accessible trackside in real time. Every time a Formula One car laps around the race track, it produces nine megabytes of data. The bottom plate of the race car alone has 1,000 pressure points that are being carefully monitored, and that data is growing exponentially. 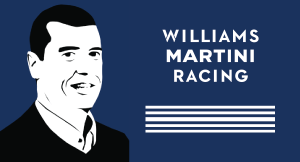 While Williams Martini Racing is lucky to have access to an abundance of information, it is only valuable if used to boost productivity, develop key insights or increase market share. In order to take full advantage of the statistics generated during a race – including sensor data, weather information and GPS telemetry data – Williams Martini Racing needed a tool that would allow it to make better choices trackside and to inform long-term decisions. 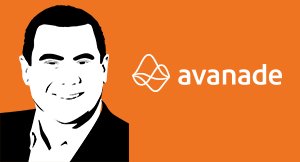 To tap into these insights, Avanade created a tire optimization application. Companies today should take note. Though every business should be mining for real-time information, how many are actually leveraging it to make themselves more nimble? The combination of speed, quality, precision, and real-time analytics has to convert to insights and rapid decisions and actions. Admittedly, this is new territory for many, and while it has an exciting amount of potential, there’s still room for improvement. One way to stay on course is to have a clear data application strategy in place before you hit the gas. Keep your end goal in sight and, when faced with unforeseen obstacles, you’ll have the information you need to course-correct quickly and strategically. A windfall of information requires the right teams to help manage it effectively. Formula One rules limit the number of personnel a race team can have trackside. To overcome this, the Williams Martini Racing team working on-site is backed up by a team stationed at its headquarters in Oxfordshire, England. This team works with it during the race to further interpret the real-time data obtained so the team can make the necessary strategic decisions to maximize the position of the driver. 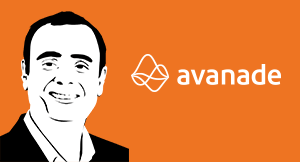 At the same time, Williams Martini Racing relies on outside resources and partners, like Avanade to augment its IT team and to achieve a competitive advantage. Not only do partners bring a fresh perspective and keep the wheel of innovation running, they bring outside capabilities that help inform aggressive technology and business strategies that ultimately help you rise above the competition. This collaboration of information would be impossible without the input of many, but most companies are still learning how to do this well. Familiarize yourself with the resources available and ensure you’re tapping into each as needed. It takes approximately 2.5 seconds for the racing team to change a driver’s tires. This is not an accident. The reason this group is able to complete this task so efficiently is because it runs this drill until it gets it right. When it fails, it deconstructs the performance and apply what it learns to future drills. Furthermore, it practises equipment failures, such that the team can anticipate what it will do when something goes unexpectedly wrong. When it gets it right, it keeps practising. The real-time nature of what Williams Martini Racing does is public, both in its successes and failures, so choosing the right people for the team is imperative to drive the business forward. It is not just about technical skills, it is about the choosing the right people who can cope with extreme demands and make immediate decisions. It is the expectation of innovation that drives every team member. By the time race day arrives, the team has the exercise down to a science. Each person has a specific role to play and their excellence helps the other pieces fall into place. Once the car hits the track, the data analytics team springs into action and the cycle of success continues. Ultimately, the team that trains together and works together, wins together. Taking full advantage of every resource available, including internal specialists and external partners, will only amplify your capabilities. Once all hands are on deck and the information at your disposal is applied strategically, your company will reach new heights. Formula One racing involves a heady mixture of speed, daring, and technology. Sensors, data, and analytics provide a backdrop for ongoing innovation and improvement, on the race track and in the back office. 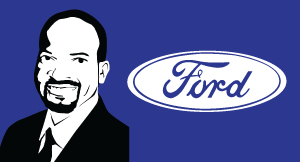 Automotive technology touches all of us every day. For the automobile industry, digital transformation means using the vehicle as a platform to deliver software-based services based on data, sensors, and analytics. In this rapid-approaching future, cars represent a shift towards a truly mobile Internet of Things (IoT) world. The pace of change will never be slower than it is today. It's time to relearn. Here are four ways to win in the digital economy. Digital is a journey that has a huge impact on the market, and it’s enabling the way companies, across all industries, interact with their customers. 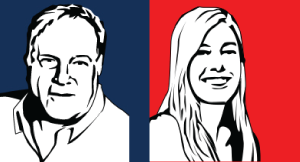 Fred Kirsch is the Publisher and Vice President of Content (Chief Digital Officer) for the New England Patriots; Lauren Brousell is a staff writer for CIO Magazine.